The spacious Apartment at Kensal Homes comes with many modern amenities including . The Apartment size starts from 2000 sq ft. Sector 32 is well-connected to other parts of city by road, which passes through the heart of this suburb. Prominent shopping malls, movie theatres, school, and hospitals are present in proximity of this residential project. Sector 32 is a rapidly developing region near Faridabad in the state of Haryana. Mathura Road is the major road passing through the border of this locality. Tughalkabad Railway Station is the nearest station for travelling to other cities. Indira Gandhi International Airport and Safdarjung Airport are in the driving distance. National Academy of Customs Excise, Faridabad Model School, ITS Engineering College, Dynasty International School and others are nearest educational institutes. SRS Cinemas and Q Cinemas are two good options to watch movies. The locality is neighbor to some good regions. Industrially this locality is well-developed. Sector 32 is quite peaceful locality and is developing in Real Estate sector, thus attracting dwellers to settle in. 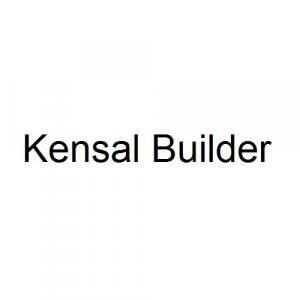 Kensal Builder is a name to trust upon in the Real Estate Domain. Having a rich wealth of knowledge and expertise in Realty domain, they are well known among the customers. They are committed to giving their customers complete satisfaction while buying the house. While planning, every small detail has been taken care of with all the major amenities incorporated. They boast of a strong team of engineers and architects who are highly skilled and committed to building finest structures that offer dream homes to people. The company has taken special care to handle such issues with their state-of-the-art solutions especially meant for the same.